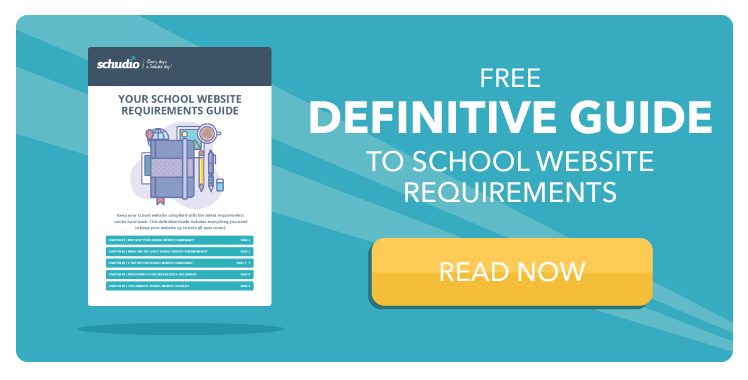 It's something that is part of every website project we work on but did you know that your school website structure is becoming more and more important? It has always been the case that you must keep things in order; limiting the amount of menu items, thinking carefully about where content should go and doing all you can to keep your website from becoming unruly. No longer is it acceptable that any school website design is cartoony, child-focused and limited in their functionality. School websites must be easy to find, easy to navigate and reflect the audience they're aimed at. This post is written to provide key advice on structuring your website and includes practical steps you can take to make serious changes to your website quickly. Everything must be "Easy to Find"
Absolutely everything on your website must be very easy to find. There is a direct line between users being able to find the content they want and then engaging with the content you want. Let's look at this by your three key audiences. One of the most important aspects of your school website is it's role in attracting new students to your school. For most age groups that means appealing to parents. Parents are looking for a picture of life in school that portrays safety, care, encouragement and of course an outstanding education. Bring your News & Events content front and centre. It's the life-blood of your website because the more stories you tell online of what is happening in school, the richer picture you'll paint. Beautiful, professional photos that show school in the best possible light - make sure they're taken of real life events within school and not overly manufactured. An excellent photographer will guide you and lead on this. Include easy access to a personal welcome from your Headteacher or Principal. Parents want to know who is the lead in looking after their child. Make it incredibly easy for prospective parents to find your contact details. Your current parents and students are looking for slightly different information because they're already part of your school life. But there are some needs that are more important than others and certain content will take priority over others. It is highly likely that your Term Dates page is viewed more than any other page on your website. Why? Because all we're bothered about is when we next get a holiday! (Especially the teachers!). Make it easy to find! News & Events are incredibly important to current parents and students as well. That's because keeping parents engaged online can be an immensely powerful tool in cultivating an effective home school partnership. News in particular will engage because it is the best way to tell the stories of life in school quickly and easily. 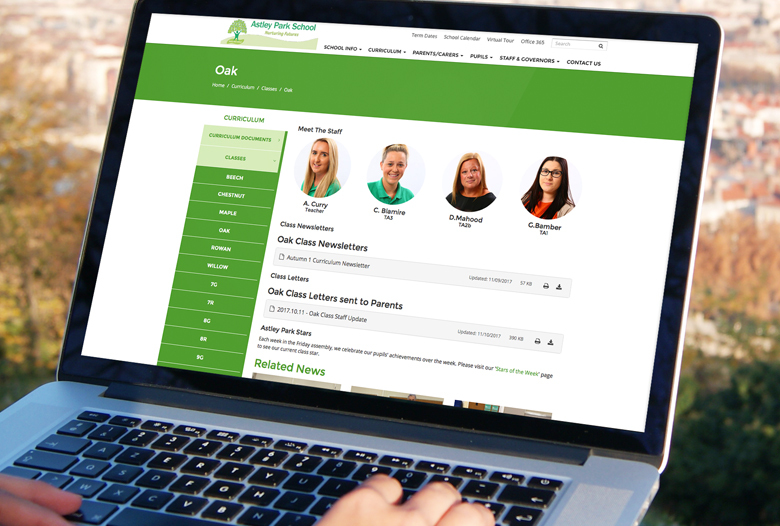 Contact details will always be a hugely important part of your school website structure because parents need to know how to reach you. More and more schools, especially primary schools, are creating beautiful class pages within their websites. The reason is that a class page is a fantastic place for parents to go as a one-stop-shop for everything about the class their child is in. Make it easy to find your class pages and make sure you link your News and Blog content to your individual class pages. (Some more details on how to do this below). I'm going to stick my head above the parapet a little here; day to day, Ofsted aren't the primary concern when it comes to your website. They're not you're main audience. The two audiences we've read about above are. That said, there's some really important considerations when it comes to structuring your website. It's most definitely worth giving them due thought. Policies etc etc. More and more requirements are added every year and a clear way of displaying your statutory content is a must. It needs to be really easy for inspectors to find your policy content on your website. Safeguarding. While there is currently no statutory requirement to publish your safeguarding information on your website we would strongly advise you to add it front and centre. That's partly because it's a hot topic at the moment but in fact, much more importantly, why wouldn't you make it very clear that you take the care of those in your charge seriously? Let your school website structure reflect how serious you are about safeguarding. You need to know where things are. This is so important. Inspectors will expect to be able to find content easily. If they can't, they're going to ask you where it is. You need to know where everything inspectors are looking for is stored offline and online. News & Events deserve a mention here because I will always argue that inspectors are looking for a richer picture of life in school than they can ever discover in a list of policies. Tell the stories of life in school well and it provides that picture. Lastly, contact details need to be easy to find. Firstly, because displaying specific contact information is a statutory requirement. But also, it's simply best practice. Include it in your top level menu or in About Us if you're struggling for space. Did you notice that in each of these three sections there's some overlap in the structure of your content? That's because you're in a fantastic position! Your audiences naturally overlap. While they have different emphases on which content is more important the fact that there is a great degree of overlap makes it easier to structure your content. Content is King, but you Rule It! The content of your website is incredibly powerful. It's so important to make sure you're keeping it up to date. But here's what happens; you're in the middle of a mad week (a normal week! ), and you need to put a sentence and a new policy on your website. The easiest thing in the world is to create page, write the text and upload the PDF. Job done. Except you're creating a problem. Every time you add content without thinking more strategically about where it should go on your website has a direct impact on your website's usability. There's three simple rules to follow that, granted, will take a little more time, but they're guaranteed to ensure your website content retains it's ease of use. #1 : What content should go on your website? Take a moment to think about the content you're about to add to your website. Would it be better going on a piece paper and sent home? Would it be better as a social media post? Not everything you create should go on your website. If it should, move onto question 2. #2 : Where should your content go? This is the one that takes just a little bit of thought to get right. If it's a policy, it should be on your main policy page, but if there's a page with related content, such as an SEN page, it should also go on that page. (Read more about Document Groups if you're worried about managing duplicate content). If it's a news article, how important is it? If it's something you want to celebrate widely, think about using a front page banner and linking to the news article. Certainly think about how you're going to share it socially. #3 : How should you put your content on your website? If it's that news article we've just read about, make sure that you write an outstanding piece and bring it to life with rich media such as photos and video. If it's a policy, then you should use a feature that means that content meets it's statutory obligations. It should be easy to locate, be linked with other related content and should be viewable on any device. Just take a bit of time and you'll be more in control of your website, longer term. You rule your content. One of the worst things that happens all the time in regards to school website structure is that your structure quickly becomes unwieldy. Keep on top of this all year round! For most organisations it's not possible to just have 2 or 3 main menu items but if you're at more than 5 or 6 you're going to run into problems. Our best advice in this instance, and because you genuinely do have a lot of content that needs to go on your website is to use a variety of menus on your website to provide effective, easy access to critical information without overwhelming users. In Part 2 of "How to structure your school website - The Definitive Guide" we'll look at some of the technology you can use to keep on top of your school website structure. 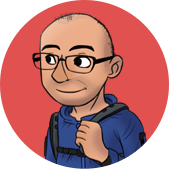 We'll also talk about how Multi Academy Trusts can cleverly structure their websites (including their academy sites) to steer users to where they need to be. Finally, we'll provide a range of website structure examples that you can work from practically.